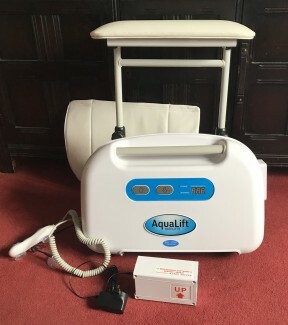 A fully functional AquaLift Bath lift, less than six months old. Installed in late September and uninstalled in early December. I would recommend calling AquaLift to arrange an installation appointment for which they charge something close to £100, however for assurance of safety and security – it’s worth it. Open to reasonable offers. Includes all screws parts and battery accessories.